PW are thrilled to have worked closely with the fantastic team at Surly bikes on their Eurobike 2016 booth. With a unique look and strong brand presence, the ethos behind the brand is apparent in everything they do. With a large screen showing their lifestyle imagery and characterful Instagram feed, the booth centres around the bar area with a feature bike display at the front of the space. The ramp concept leads the eye onto the booth while drawing attention to the latest bike frames and accessories. A rustic material palette creates real stand out among some of the more polished exhibit alternatives and the brightly coloured frames work well alongside the up-cycled props and finishes to form a memorable look. For more of our work in the field of cycling - bikes and accessories, see some of our other recent projects for Saddleback, Lapierre, and Nukeproof. 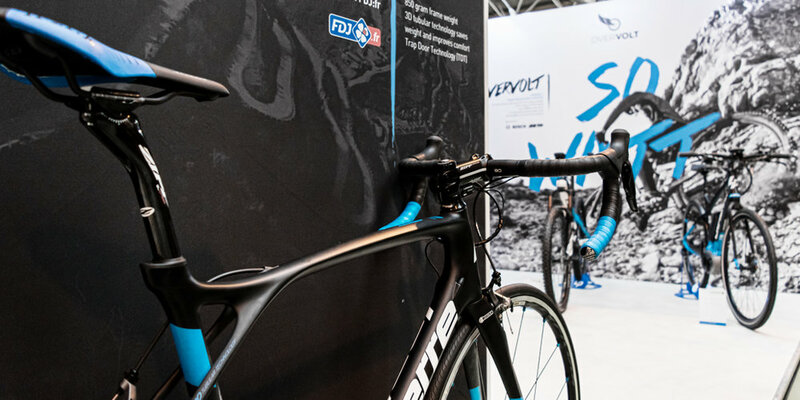 Lapierre - Large graphic panels with bold messaging provide the ideal backdrop for a range of sleek and eye catching bikes. 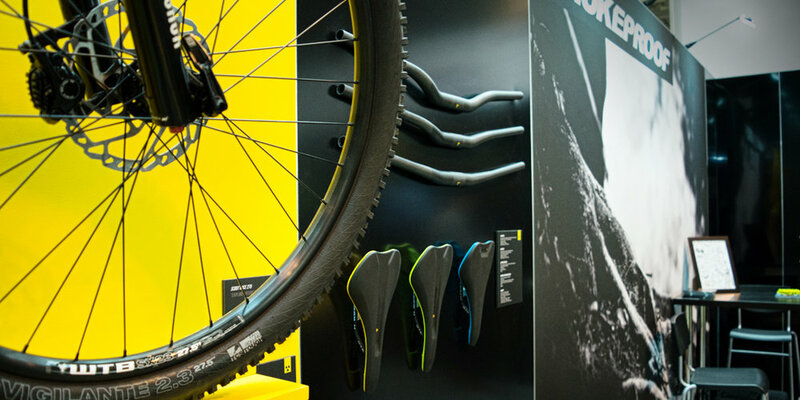 Nukeproof - A combination of bikes and accessories displayed in a simple and high impact way for maximum competitor stand out. Saddleback - This is a flexible retail kit that has been used for several years as a pop-up shop, exhibit and showroom experience.